New Zealand born, UK based artist Christine Webster uses photography, video and the body to interpret and explore ideas around gender and identity, role-play and the different personae people reveal. Throughout her career Webster has created numerous bodies of work, each operating in the nexus between the known and the transgressive, the public and the private. Her career-long study of desire, vulnerability, and power stems from a need to confront the status quo and the politics of the gaze. Webster’s continued fascination with the omnipresence of these issues in people’s lives, and the immense variation and complexity to be encountered, drives her investigations. She has said ‘I channel myself through people,’ thus the ever-present self-referential nature of her work. Webster uses her own body as a device that avoids links to time and place. Acting as a catalyst, she also seeks subjects who are willing to be directed, so together they can portray aspects of human psychology that will find empathy with, offer intimacy to, or deeply unnerve the viewer. Included in the groundbreaking exhibition ‘Neue Mythen’ at Cologne’s Museum Ludwig in 1989, Webster was one of the first of a new generation of New Zealand artists to be actively engaged in the international arena. ‘Black Carnival’ was exhibited in New Zealand and also in 1997 at Rencontres Internationales de la Photographie, Arles, France, and at MACBA, Barcelona, Spain. In the same year in Barcelona, her work was included with that of Andres Serrano and Christian Boltanski. 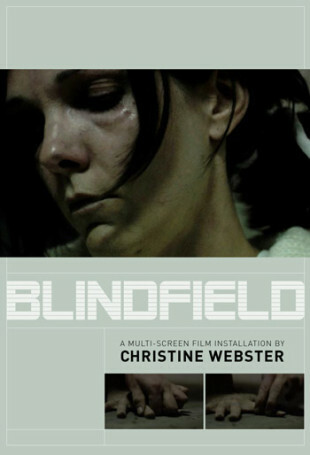 More recently, ‘Blindfield’ 2009 (exhibited at the Athens Video Art Festival ’09 and Split 14th International Film Festival, among other venues) explores the role of the individual in relation to structures of power, in this case, the asylum. ‘Transitions’ 2010 documents adolescent engagement in social media online communities in UK, China and the USA, exploring how teenagers swap and change between virtual and ‘real’ selves, constructing their image(s) online and using social networks as a vehicle for varied emotional expression. Webster’s most recent project, ‘Therapies’ 2013, explores private moments of female protagonists, dwelling in a place far from the relentless pressure upon women to be perfect in both appearance and performance; moments of peace, solitude, companionship. Through recurring landscape motifs: fog, snow, the lines of trees, the lines of winter plough and telegraph poles, metaphors arise evocative of fractured communications and yearning. Webster was awarded the prestigious Frances Hodgkins Fellowship in 1991, and after time spent lecturing and exhibiting in New Zealand, completed her MFA at the University of Glasgow in 2004. Living permanently in the UK since 1997, Webster’s work has been exhibited widely in New Zealand and internationally. Her work is held in the collections of Biblioteque Nationale, Paris, France; LA County Museum, USA; The International Museum of Photography, Rochester, New York; Museum Ludwig, Cologne, Germany; MCA, Sydney, Australia; Queensland Art Gallery, Brisbane, Australia; and Te Papa Tongarewa, Museum of New Zealand. Webster is currently living in Cambridge, UK, and working as a senior lecturer at Cambridge School of Art, Anglia Ruskin University.